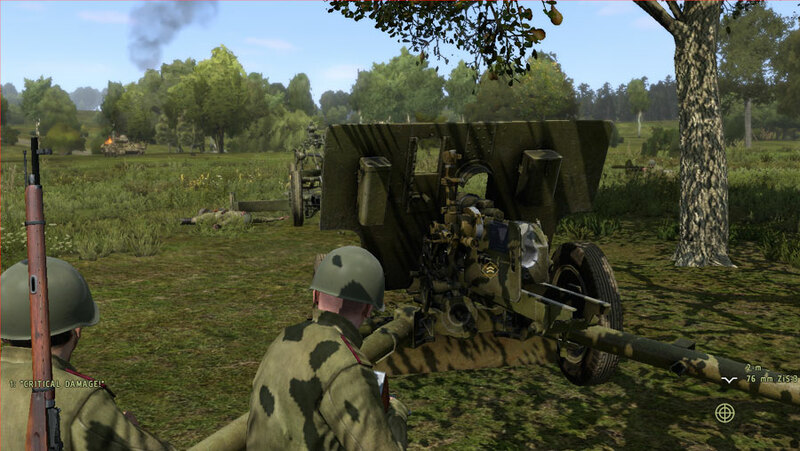 The release of the highly awaited Iron Front Liberation 1944 is next Friday. Here is a short preview of what to expect. 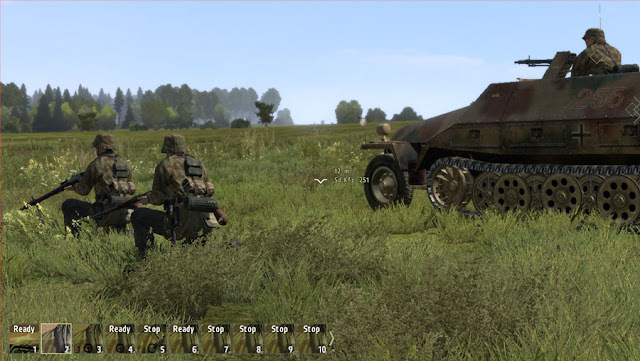 All material below is based in the review version (v 1.60) of Iron Front. 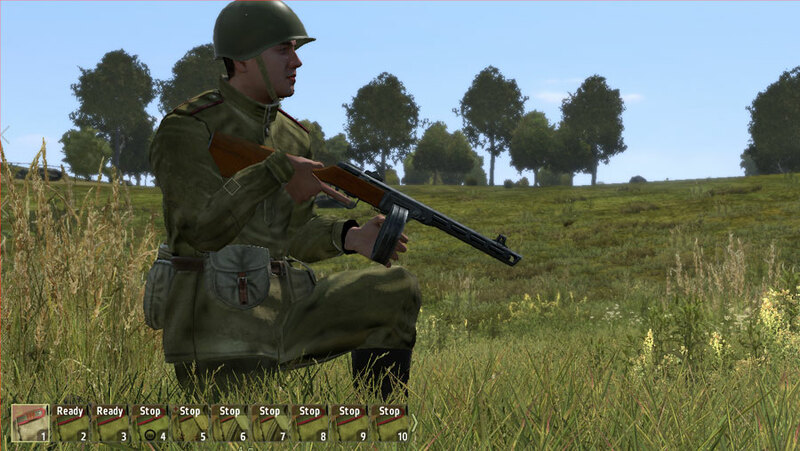 This a highly realistic WWII Eastern Front first person shooter/infantry combat simulator based in the ArmA 2 engine. It's a standalone product (no need to own or purchase ArmA 2) developed by Deep Silver and published by X1 Software and AWAR. The installer weights a hefty 10 GBs, so get ready for some time staring at your download manager screen. Iron Front uses a DRM system very similar to the one in ArmA 2, which is a one time online validation. 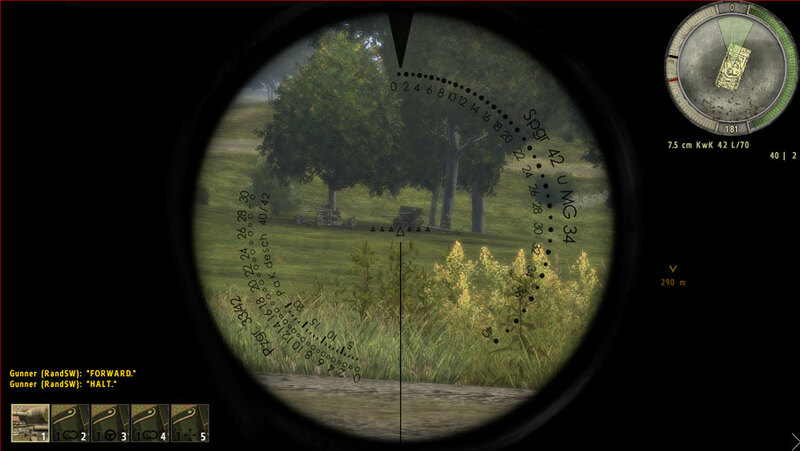 Iron Front's interface functions and settings options are identical to ArmA 2. There is new artwork for the interface and buttons. 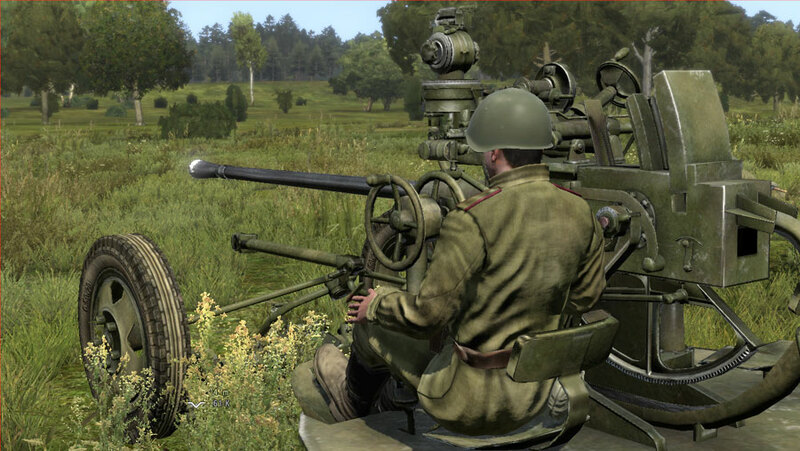 The single player component includes two campaigns (one for the Russians, one for the Germans) of around 8 missions, each one lasting roughly one hour. I was never a big fan of ArmA 2's single player campaigns, not even the single missions, still had some fun with Iron Front's campaigns. I think that the themes of the single player missions were very good. However, in the version that I played (v1.60) there are still some glitches in scripting and (no surprises here) plenty of ArmA 2 AI idiosyncrasies. I have been driven in a staff car by a helpless AI leader through a mortar barrage who insisted in ramming every single obstacle in a road block, asked to scavenge binoculars from fallen fellow soldiers who were not there (maybe they survived after all?) and left alone by AI commanders in the thick of it . I'm going to leave it there about this single player missions issue because I understand that maybe the developers are still working on them. 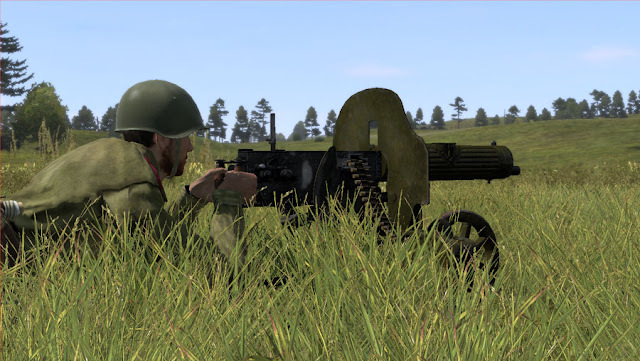 Whatever happens after release, you kinda know that the ArmA 2 engine's forte is not a complete cinematic experience as in other mainstream shooters out there. Still, I commend the developers for the way the cut scenes were put together, with very atmospheric voice acting and plenty of camera pans . There is off course a multiplayer infrastructure which is identical to ArmA 2. 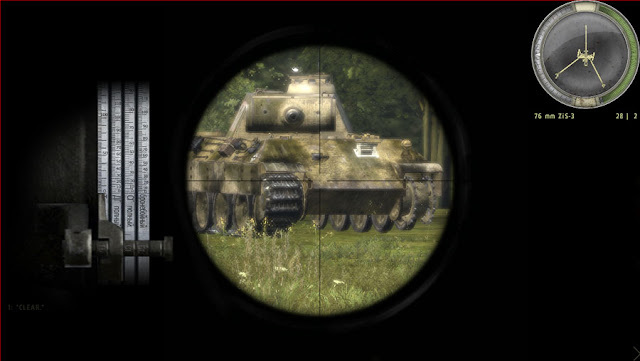 A new multiplayer mode has been added (blitzkrieg) but I didn't get a chance to try anything out (servers tend to be empty before release, I heard). Graphics are very nice as can be seen in the screenshots of this entry. The graphics engine is demanding as it is in ArmA 2. 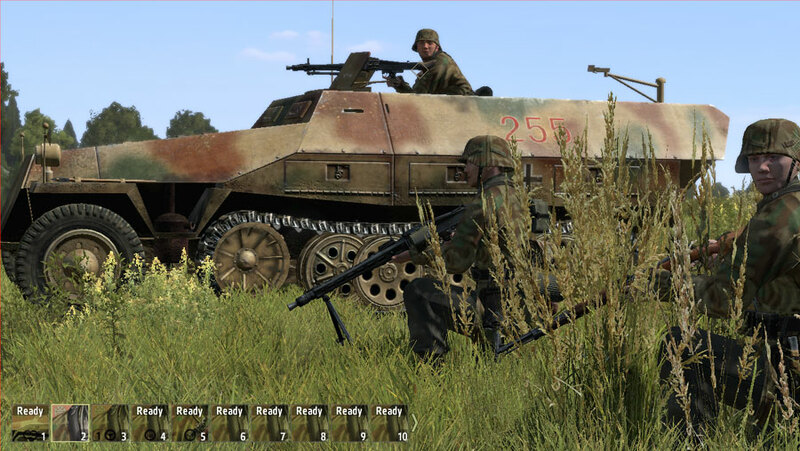 Fortunately, the graphics options are scalable and there is plenty of ArmA 2 information out there about how to adjust your graphics options for the best balance between performance and graphical goodness. 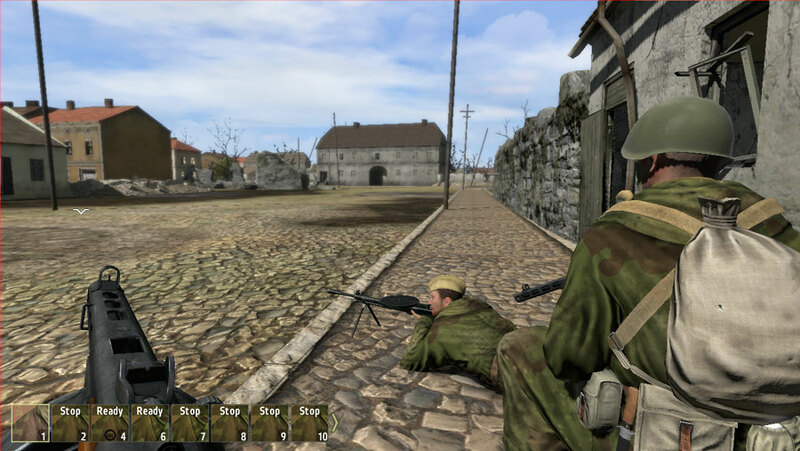 The editor is a full blown version comparable to ArmA 2, including modules and scripts. The amount of available units for the Russian and Germans is very good. Be advised, you don't get every single piece of hardware ever used in the Eastern Front. There is plenty to choose from, though, and this results in a battlefield where combined arms will certainly make a difference. Combined arms including air units! You can fly aircraft in Iron Front too and although the flight experience is arcadish, I can imagine the grin of satisfaction of that guy strafing you in an online match. 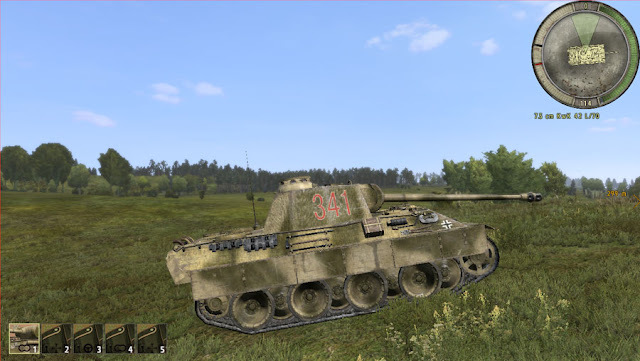 New and great (compared to ArmA 2): (i) armored warfare with an upgraded damage model (no hit points) and (ii) "static" guns can be towed and pushed during battle (it's great to be able to change the orientation of an AT gun!). The armored warfare part is a great addition. 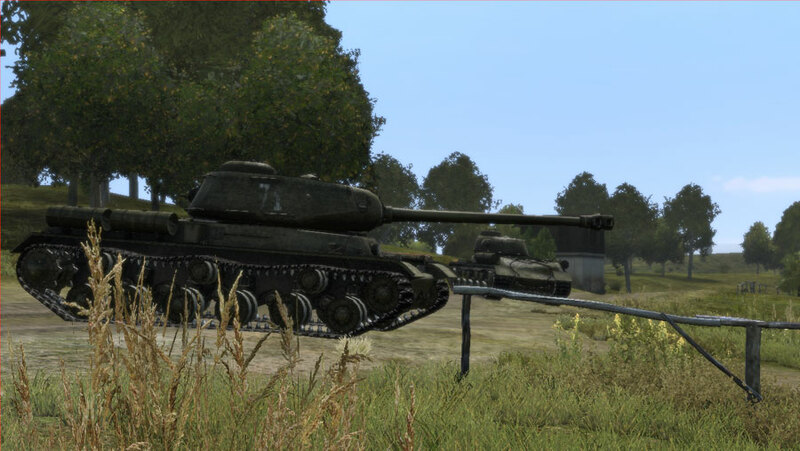 Although we can't say this is a tank simulator, it now feels right to fight from or against a tank. More on this in upcoming AARs. AAR coming soon. Stay tuned.